Good morning all, it's time for another fresh challenge here at DYSU! We had some fabulous creations with Brads last week, making it so hard for us to choose the Top Three! Thank you all for continuing to inspire and create with us here at DYSU. This week we have the theme of Leaves & Trees in your creations! So, let's see your take on a Leafy Theme. We can't wait to see what you create! And here is my card using the image Birds in a Tree from Hope Jacare. The image is so great and has so many details that I decided to keep it simple. 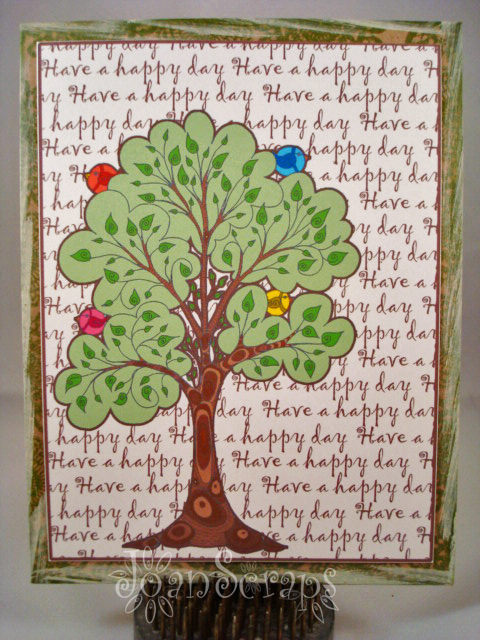 I colored the tree using Photoshop and added a background with the phrase have a happy day. Then all I had to do was print the image, trim it and adhere it to the card base. This type of card is perfect to make sets to give as presents. And with the holidays around the corner I guess I am making a few more of this style. Love this card Joan. Your happy day background looks great and I love how you have coloured the tree. i love this. such a sweet design. 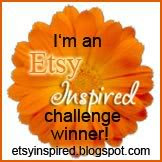 i love the sentiment background and the bright birdies :) i love the digital coloring...this is awesome!